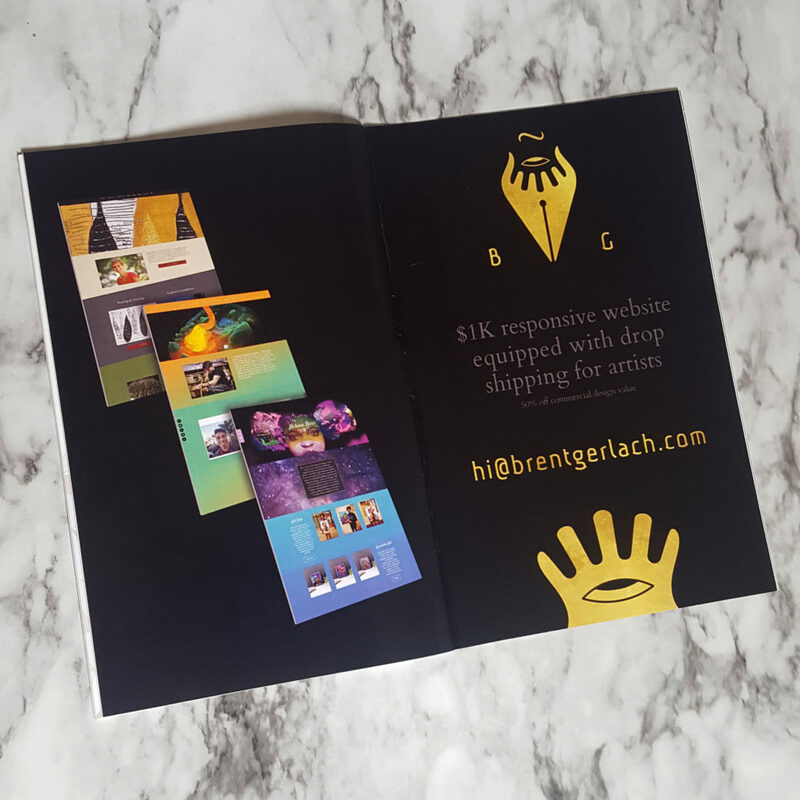 I had the pleasure of working with Brent on a collaborative effort to brand an exciting new company, BG Creative. BG Creative offers a variety of services such as branding, web design, and strategic marketing solutions​ for commercial entities and the arts. Brent ​provided a hand drawn illustration – from another artist – ​that ​we worked together, pixel by pixel, to digitally bring to life! Brent is extremely passionate about the arts and is involved with Dane Arts Buy Local. In October of 2017, BG Creative sponsored a DABL pop up art market, which is an amazing event where local artists come together to show and sell their work. I designed a 2 page ad for the event’s program which feature​d three examples of BG Creative’s website designs and an on going promotion for artist websites.